Prime Minister Theresa May is defeated in parliament over Brexit blueprint – The cost of the snap election is becoming evident now for the Tories. Members of Parliament vote against the government, Conservatives rebel. The government expresses disappointment but intends to press on. Pro-Brexit lawmakers fear weaker negotiating stance. The government has been narrowly defeated in a key vote on its Brexit bill after a rebellion by Tory MPs. The prime minister is due in Brussels on Thursday, hours after Conservative rebels in the Commons defeated the government in a key Brexit vote. One rebel, Stephen Hammond, was sacked by Theresa May as Conservative vice chairman in the aftermath of the vote. The EU Withdrawal Bill is a key part of the government’s exit strategy. Its effects include ending the supremacy of EU law and copying existing EU law into UK law, so the same rules and regulations apply on Brexit day. MPs have been making hundreds of attempts to change its wording – but this is the first time one has succeeded. The negotiations are first expected to focus on agreeing a temporary arrangement that will kick in as soon as the UK leaves the EU in March 2019. 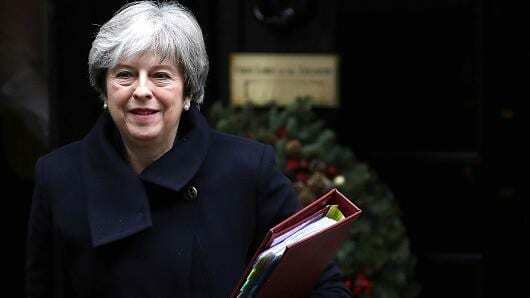 On the eve of the summit, Mrs May, already weakened after losing her Conservative Party’s majority in a June election, the 650-seat parliament voted 309 to 305 in favour of an amendment to hand lawmakers more say over a final exit deal with the EU. It’s the first time that Theresa May has been defeated on her own business in the Commons. She has to front-up in Brussels tomorrow with other EU leaders only hours after an embarrassing loss in Parliament. Unless it is overturned by the government at a later stage, it means MPs will get to vote on the final deal reached with Brussels before it is ratified. The government had previously offered a vote. But critics wanted a guarantee that this would be “meaningful”, claiming the bill gave ministers the power to bypass Parliament in implementing the withdrawal agreement. Unless the government manages to overturn it further down the line, it means a new Act of Parliament will have to be passed before ministers can implement the withdrawal deal struck with Brussels. The EU withdrawal bill has been the focus of seven days of often bitter debate, underscoring the deep divisions over Brexit not only among the Conservatives but also in the main opposition Labour Party and across the country. In June, she gambled on a snap election to strengthen her party’s majority in the 650-seat parliament but instead bungled her campaign and ended up with a minority government propped up by the 10 votes of a small, pro-Brexit Northern Irish party. Pro-Brexit lawmakers fear the amendment could force Britain to weaken its negotiating stance by offering parliament the opportunity of forcing ministers back to the negotiating table if it feels any final deal is not good enough. The Week So Far – Why Prince Charles needs to step up & Diddy has done it again!